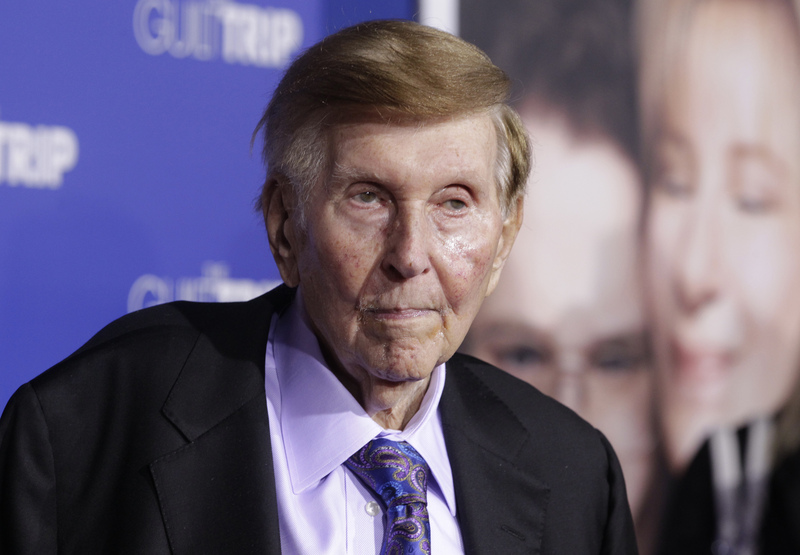 Sumner Redstone’s state of health is ailing the corporate governance at CBS and Viacom. The media mogul’s mental capacity is being called into question again, this time by an ex-girlfriend in a lawsuit filed last week. Shareholders of both companies, which Redstone controls and chairs, deserve a clearer idea of whether the 92-year-old is fit to lead the boards. The court filings submitted by Manuela Herzer, who was thrown out of Redstone’s house earlier this year, allege that he can no longer make decisions for himself. His attorneys reject the claims and say Redstone continues to oversee his own well-being. It probably won’t curtail the suspicions. Redstone public interviews have been few and far between. There has been no sign of him on company earnings calls for a while, where he once famously heaped praise on his chief executives. He also didn’t turn up for Viacom’s annual shareholder meeting in March or one held by CBS in May. Viacom, home to cable network MTV and movie studio Paramount, and CBS – with a combined market value of $45 billion – routinely have been pilloried by proxy advisers for governance risks associated with their board compositions and dual-class share structures. The handling of Redstone’s health only makes matters worse. While one of Redstone’s estate planners told the Wall Street Journal that an independent physician confirmed his capacity in September, the companies themselves have been less forthcoming on any details. The danger is that a court steps in, as happened with Los Angeles Clippers owner Donald Sterling, whose wife sold the team after a judge ruled him mentally incapacitated. In such an eventuality, a potential power struggle between Redstone’s daughter, Shari, who is vice chairwoman at both CBS and Viacom, and Dauman, one of Redstone’s trustees, could roil the companies and the stocks. Balancing respect and privacy for an aging man and the needs of investors isn’t always easy. Warren Buffett, for one, came clean about his cancer diagnosis and prognosis in 2012, when he was 82. It’s time for Redstone and his boards to do the same. A former girlfriend of Sumner Redstone, the 92-year-old executive chairman of CBS and Viacom, filed court documents on Nov. 25 claiming that Redstone was incapable of managing his health. Attorneys for Redstone filed opposition papers to claims by Manuela Herzer stating that Redstone “continues to make his own health care decisions,” and has appointed Philippe Dauman, the chief executive of Viacom, to act in the event of his incapacity. Redstone controls Viacom and CBS through National Amusements, which holds 80 percent of the voting stock in both media companies.